Living out of town in the countryside with autumn/winter fast approaching, our mission is to research the best in versatile buggies able to take on mixed terrains in all weathers. 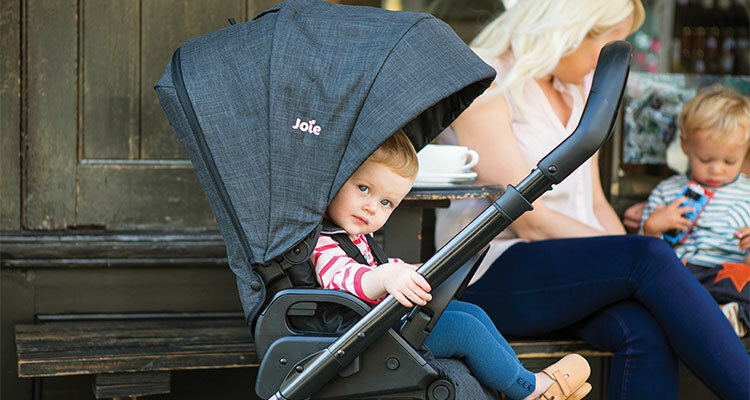 First up, we thought we’d take a look at Joie’s travel system, the Chrome DLX. The Joie Chrome DLX is a fairly slick but simple looking buggy that feels solid and reliable. The stroller is suitable from birth with its separate carry cot and car seat compatibility making it a fantastic option if you’re looking to buy a travel system. The Joie Chrome DLX looks smart with its modern floating chassis and clean, tailored lines. It’s available in four colours: pavement, cranberry, and dots. The buggy offers a premium level of comfort for your baba. 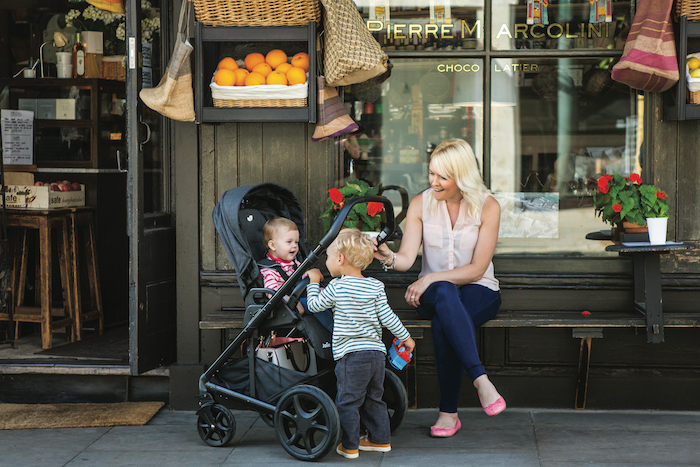 The multi-mode pushchair allows for rearward and forward facing positions. The seat unit’s five positions include a fully flat recline, ideal for napping on the go. My little one prefers to be as upright as possible so she can see the world, and she was more than happy with the most upright position available on the Chrome. The removable bumper bar and two position leg rest further contribute to Joie’s emphasis on comfort. Joie have also considered comfort from a parent’s point view. The pushchair’s handle can be adjusted according to preference or height; and the the under seat basket is large and easily accessible, making it a fantastic companion for shopping trips. The buggy’s large tyres and full suspension make this a great option for all terrain adventures. 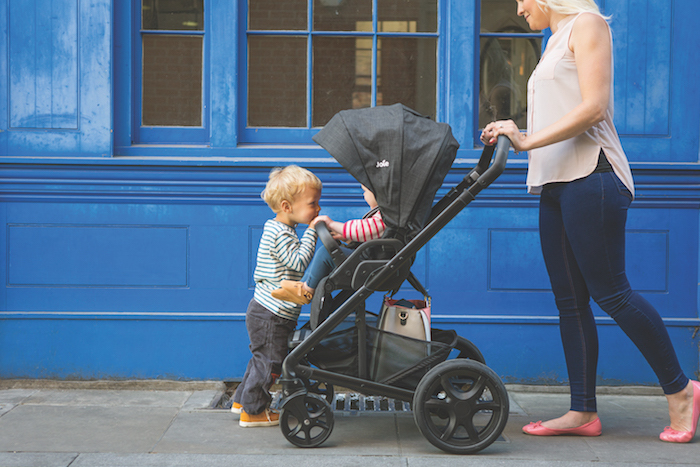 The pushchair tackles kerbs with ease, and unlike other pushchairs of the same size, you don’t have to put your weight down on the handle to leverage the buggy up onto the pavement. The buggy is a sturdy option for country living, and as you would expect, for something more substantial, it is a heavy buggy to lift in and out of the car boot. However, the buggy has a compact gravity fold, and folds down with the seat in either the rearward or forward facing position, so it stores away nicely. In my opinion, Joie’s Chrome DLX looks smart and offers fantastic value for money. I’m looking forward to many trips out this winter with the Chrome DLX.